As the crisis in Europe deepens and sanctions are only worsening the instability, days of thriving economy and friendly relations between Russia and the EU seem to be long forgotten. We speak to a person who made a huge effort to make it happen back then – the former head of the European Commission Romano Prodi is on Sophie&Co today to talk about sanctions, immigration and ways to solve the Ukrainian crisis. Sophie Shevardnadze: Mr. Prodi, thank you very much for being part of our program today. It’s great to see you again. SS: Now, the EU could lose up to 40 billion euros because of the sanctions in a course of one year, that’s according to the European Commission’s estimates. Did you expect the sanctions to be such a major blow, actually? 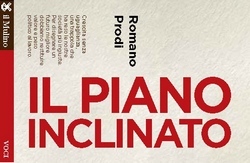 The years of hope are over, and now there are the years of fear from Romano Prodi on Vimeo. RP: Look, the sanctions are a tragedy for both sides. They are done to do damage, they exist because they make damages, so this is why I think we have to do any effort to, let’s say, normalize this situation. I’m really worried because it is absolutely unnatural that between the European Union and Russia there are sanctions. This has happened because we have done mistakes, both of us, I don’t want to go back to history. But now our rate of growth because of the sanctions is decreasing. Our farmers, of course, are unhappy. On the Russian side, it’s the same thing: the price of food is increasing, the ruble is going down, and your budget is in worse condition. Tell me one advantage of sanctions! So what I think, we have to meditate, how to step back in order to restart the negotiations. SS: Are we talking about lifting the sanctions slowly? RP: Of course. Our goal must be that sanctions must be lifted. Because I repeat, they are damaging both of us, so we have to create the political conditions to lift sanctions. SS: You know, the American Vice President Joe Biden has said – recently, actually – in his speech in Harvard University that America had to embarrass Europe into imposing sanctions on Russia. He later apologized, but it was a little weird. I mean, what did he mean – does it mean that Washington has a sway over Europe? RP: Well, I don’t look at the intention, I simply tell you that trade between the United States and Russia is nothing, peanuts, and trade relations between Russia and Europe is so important, you know. So I don’t say that Biden was telling the truth or not… What I simply tell you is that it is absurd that we go on in this situation. Clearly to get out of it, we must remake mutual confidence. SS: Sure. But I think what he meant was that Europe would not have imposed sanctions if it wasn’t for pressure from America. Do you think that’s the case? If America wasn’t pressuring Europe, would Europe impose sanctions? RP: Yes, yes. I think historically it’s OK.
SS: So you think it’s because of America that Europe imposed sanctions? RP: Not because of America, because of that mix of different European opinions and a clear strong American opinion. So the result was a policy probably stronger than the Europeans alone could’ve taken. Certainly, even among the Europeans there was a strong, strong tension about Ukraine. I don’t like to spend time to analyze what could have happened, if. My strong will is what can we do in order to remake, reconstruct common confidence, and there was common confidence between the European Union and Russia. And until the Iraqi war, in the first years of my heading the Commission, we were really building up a correct and long-term cooperation. SS: …partnership. But you brought up Ukraine, and that’s obviously a huge stumbling point between Russia and the West. I mean, that’s why the sanctions are actually taking place. And because of this Russian-Ukrainian dispute, we’re talking they may affect gas supply to Europe. Now, for instance, Russian gas supply to Italy accounts to 30% of its gas supply, right? 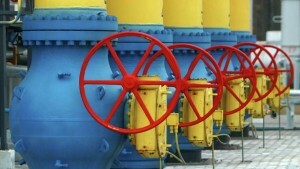 Moscow says that it will keep the gas flow intact. But are you confident that Ukraine is a very reliable transit supplier? Are you sure that there won’t be any disruptions? RP: Look, when I was president of the European Commission, I was also surprised being in Kiev to mediate because there were accusations of stealing gas from the pipe, so it’s an old problem. The problem is that Ukraine has always had difficult internal political problems. If we don’t understand that we have to do all in order, let’s say, to make Ukrainian life easier, and… You know, we shall enhance the internal tensions of Ukraine with all the consequence of political instability. We cannot use Ukraine as a battlefield. You cannot use Ukraine in order to announce our influence. This is the real change of mind that we must build between Russia and Europe. Or course we need to do that, we need strong commitments on European side that Ukraine will never be part of NATO. I’ve given an example, because when I was Prime Minister of Italy, the last year, because I was close to non-confidence vote to end my government. But in Bucharest meeting, Germany, France and Italy, we put veto on the proposal of the American president to let Ukraine and Georgia into NATO in order to respect the fact that Ukraine cannot be Russian and cannot be European and must be some sort of cushion with respect of all of us. And then on the Russian side, of course, the engagement not to have interference with armaments, you know, to guarantee the expression of people and the autonomy of the region, the use of the Russian language, not to use Ukraine as a power instrument. SS: OK. It’s great prospect. What you’re saying is very correct theory and strategy. But as things stand right now, there are problems, and they need to be fixed. SS: Do you think that Ukraine is able to supply gas to your country, to Italy, without disruptions this winter? Because I’ve heard Italian energy minister come out and say that the country is preparing for the winter without Russian gas. RP: Well, it’s not easy to be without Russian gas, you know, because we have almost 40% of Russian gas supply. We have good reserves, we can for some months, and in long term we can do without it, but you know very well that if there are no tensions between Russia and Europe, on the Ukrainian side it will be impossible to put any obstacles to the flow of gas. SS: You don’t think Ukraine could steal Europe-bound gas that’s flowing through the pipeline? RP: No. If there is an agreement between Russia and Europe, the degree of freedom to do that is very, very limited. The real interest is to work together, because Russian industry is making an effort to modernize itself. Can you do it without Europe? No. We need to be safe in our long term energy and natural resource strategy. Can we do it without Russia? No. SS: So if you can’t do without Russia, let me ask you this: why do you think Europe is halting the construction of South Stream project? Because it would seem that it would take care of all gas supply problems from Russia to Europe, withstanding Ukraine. Why, do you think, what’s your personal opinion on this? Are these unofficial sanctions as well? RP: If there is an agreement with Ukraine, why should you need it? 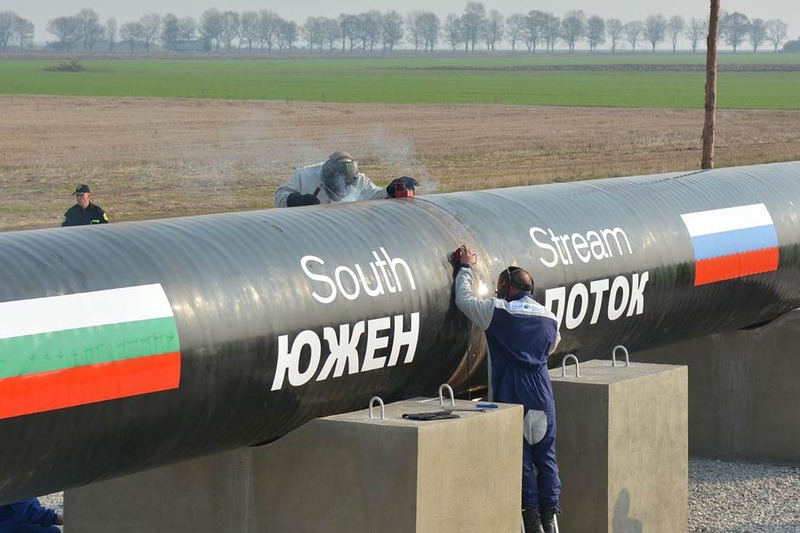 You need the South Stream just because there is no confidence that the system is working. SS: But this has been going on for years. It isn’t just a problem of this year or last year. When you were Prime Minister, and right after, in 2006, same problems arose with Ukraine and gas supplies to Europe. 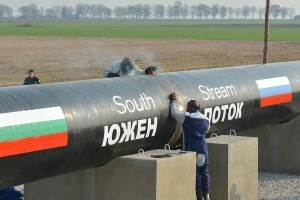 Why just not have the South Stream and get rid of that problem? What do you think? SS: Just costs? Or politics? RP: Well, it costs a lot. Costs and politics. SS: What’s more, costs or politics? RP: I don’t know. I think that cost is important for the company engaging in it. Politics is for the governments who are behind the construction companies. SS: Russia is proposing one way to tackle the Ukrainian problem – I’m sure you have heard – just recently, Russia has proposed that EU should help Ukraine pay off its gas debts. Do you think Europe is ready to pay for Ukraine? Is Italy ready to pay its own money to help out Ukraine in this crisis? That’s one way to solve the problem. RP: And why not Russia? SS: Because Russia has already given a lot of free gas to Ukraine, and Ukraine owes a lot of money to Russia. RP: Look, when the Ukrainian crisis has started, and the tension, my first reaction was naïve, but it was – look, it would be a disaster. We bring the economic problems to everybody. My friend asked me what the solution is. The solution is very simple: Russia puts on the table five billion dollars, five billion the Europeans, five billion the Americans, and we start to cooperate to reconstruct Ukraine. SS: But is Europe ready to pay 5 billion? Not 20 but five, that’s a good start. That could take care of the problems in the beginning. RP: I say, also Russia and the United States. SS: But you won’t help Ukraine on your own. RP: The damage that we are doing to ourselves. And to avoid it to cooperate with political solution. And political solution is what I hinted you before: everybody make a step back in order to help Ukraine to make a progress. SS: You just said a very interesting thing. You said that Ukraine cannot be European, it cannot be Russian, it cannot be American. You were, I remember, back in the days, a great proponent of EU enlargement. Remember, we had an interview? But, however, the EU’s drive to the East, in a way, is responsible for the conflict in the East of Ukraine. Was it worth it? Because half of the country wants to be in the EU while the other half doesn’t. RP: My European policy of enlargement was really always conscious of the consequences. I never had any major tension with Russia, never. I did enlargement because it was a moment after the fall of the Berlin wall, a moment of real unrest, and without enlargement all Europe should be in real tension. But I knew where to stop. And I repeat, when we had pressure to have Ukraine and Georgia in the NATO, I said “no”. SS: I wanted to talk to you a little bit about Europe and what’s going on inside the EU right now, because you are a specialist. SS: Well, you still are, I believe. SS: I’m sure you’re following the course of events. You were also a great supporter of European integration and you were head of the European Commission when euro was adopted. As of today, are you happy with the way the things look right now? RP: If you ask if I’m happy with how the things have gone, I am unhappy. But European Union was a historical necessity and it is even now a historical necessity. We have to do it better, but if we go back it would be a tragedy. The changes inside Europe are unexpected, and that is a different leadership. Because of the populist party EU had last year, the European leaders are generally afraid. The years of hope are over, and now there are the years of fear. But I am no pessimist. SS: OK, you’re like the last of the Mohicans, being an optimist about what’s going on in Europe. But if we talk technically, it seemed that Europe is just over the debt crisis, but then the International Monetary Fund comes out and says that EU is headed for a recession. And it’s true that structural reforms aren’t taking place, and you have friends in Italy who don’t want to lose their economic sovereignty to Brussels, many would even say to Germany. Why is that? And also, how could euro work in these circumstances? RP: Look, when we built the euro, it was clear that this needed to be accompanied by a common policy, common financial and economic policy. I remember when I was raising this problem to the German chancellor Kohl, he was telling me: “You are an Italian and you know that Rome wasn’t done in one day”. And then, we shall do it. The problem is that the new leaders did not have the same confidence in the future of Europe. We went back to the national boarders, and this was unforeseen. So I do understand that we cannot go on forever with a monetary union and not political and economic union. But I know that history will push us in the direction of the union. SS: How? Because right now the way the things are looking, you cannot have a uniform economic policy if there is no political integration within the member states. And it does seem that the political integration is really hard to achieve because every state wants a different thing, especially economically. RP: But you argue as if people do not understand from experience. I imagine that this is a difficult moment. Even Germany now is below zero, at this point. They had two terms of zero or negative growth. I am confident that people learn the lesson from history. So, if you are so pessimist that nobody learns anything, it’s OK, you are right (applauds) and we go to the end of all the European adventure. But this is not in the spirit of even the most sceptical Europeans. They want a different Europe, they want Europe more engaged to growth, more engaged to social equality, but very few want to go back to the nations. The experience of the fighting nations was too bad. SS: Just because we don’t have much time left, I want to touch upon another huge problem for Europe – and Italy in particular – the flow of illegal immigrants from Northern Africa. Now, we have Ebola that’s rampaging Africa. Do you fear it could actually spread to Italy? Are any measures being taken? Are these migrants actually being monitored in some way when they enter Italy? RP: I hope there is more political cooperation, but the problem goes beyond that. Because if we don’t work together – and when I say together in this case, Russia with Europe also – in African countries in order to help them develop, the number of immigrants will increase. Second, they have come to Europe, and they are coming now, because Libya is a fake state. We need to make a common policy in order to help the reconstruction of the country. Because otherwise there will be no possibility of tackling the problem. SS: It seems that you’re asking other EU members to help you with this migration problem. Do you think that this Italy migration problem could spark a EU-wide action? RP: Now there is cooperation in Europe, but this will not solve the problem. Because it is cooperation, when the immigrants arrive… We have to work where they are starting from. Because when they arrive, they arrive, you know. And when they arrive from the sea, you cannot push human beings in the sea. The problem is to stop and to help them to live there, from where they are leaving. But now in Libya you can’t do anything. And population growth is a pressure that will not stop in one year or ten years or twenty years. This is a problem of humanity. Remember that in this moment in the world there are 250 million people who are residents in countries in which they were not born, immigrants. Can you believe it? 250 million people who moved from a country to another one. We have to tackle this problem. SS: Mr. Prodi, thank you very much for this wonderful interview. RP: Thank you so much, it was a pleasure.